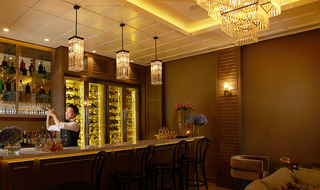 This luxurious hotel is located at the heart of the commercial district of Bangkok, along the prime Embassy Row. The hotel enjoys close proximity to many links to the public transport network. The hotel offers guests a great setting from which to explore the delights that the city has to offer. Guests will find themselves just a short distance away from Central Chidlom, Central World and Gaysorn Plaza. 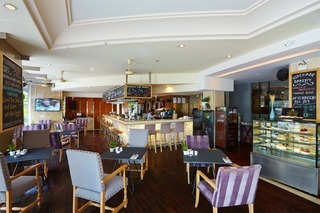 This wonderful hotel is located just 36 km from Don Muang Airport. This wonderful hotel enjoys a luxurious blend of stylish, contemporary design and Japanese elegance. The guest rooms are sumptuously appointed, and are sure to impress even the most discerning traveller. 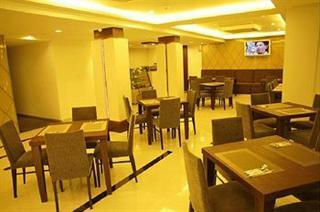 The hotel affords guests a wide range of exemplary facilities, ensuring a truly enjoyable stay. Reviving the Golden Age of Travelling, the impressive Hotel Muse Bangkok Langsuan - Mgallery Collection is an enticing mélange of European Fin de Siècle chic and Thai Rama V-era style. Guests will be enchanted by the opulent elegance of the hotel's interior; fantastic facilities such as a rooftop lawn with spectacular views or an outdoor infinity pool are the icing on the cake. 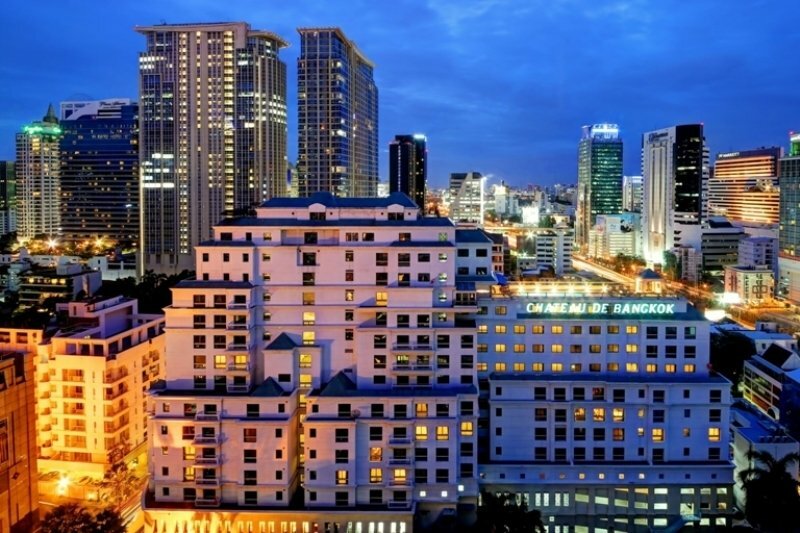 The hotel is situated in the heart of the central business district, one of the most sought after residential areas close to Lumpini Park and the city's best shopping centres. A true gem in an ideal location. This luxurious hotel boasts a prime situation in the shopping and business district of Bangkok, where guests will find a host of shopping malls, embassies, corporate offices and different BTS Skytrain stops which provide easy access to other parts of this vibrant city. Lumpini Park is also to be found in the surrounding area, and Suvarnabhumi Airport or Don Muang Airport are easily accessible. This modern establishment provides a choice of studio rooms and apartments that have been fully furnished for guests to feel right at home. The most demanding visitors may prefer to stay at the luxurious penthouse, offering an extra space and several bedrooms, each featuring its own bathroom. The tantalizing dining options invite guests to take their palate on a culinary adventure, and the spa area is ideal to enjoy a moment of relaxation. The Duchess Hotel and Residences offers you luxurious living in the heart of the city, just ten minutes walk to the BTS Skytrain. With modern, elegant, spacious and above all comfortable apartments, The Duchess Hotel and Residences is designed around your lifestyle with a fully-equipped business centre, fitness centre and swimming pool all your convenience. This well-appointed residence enjoys renowned standards of international style and service. Stunning views across Bangkok CBD day and night makes it easy to see why The Duchess Hotel and Residences is the refined solution for city living. 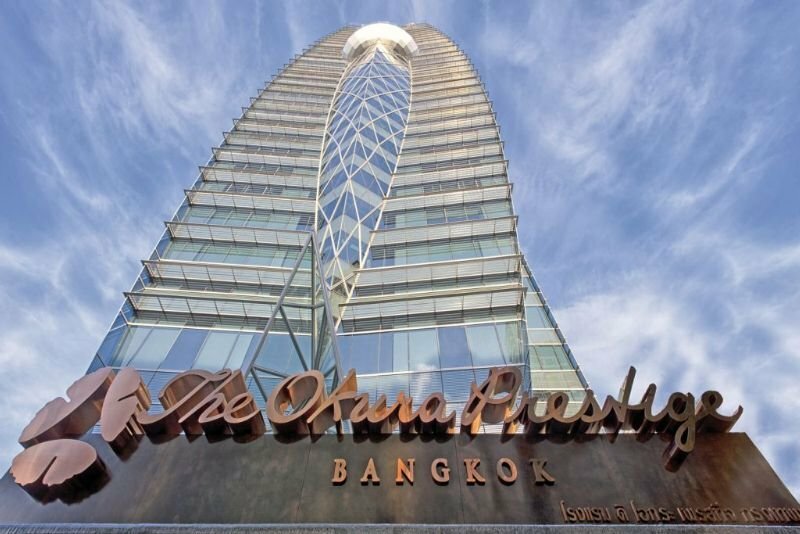 Urbana Langsuan is located in the heart of Bangkok's bustling commercial city, this serviced residence is within walking distance of Lumpini Park. Residents can also enjoy easy access to a myriad of shopping centres. Great entertainment venues and a range of restaurants are in the vicinity at Silom, Ratchadumri and Surawong. The airports of Don Mueang and Suvarnabhumi are 30 km and 40 km away respectively. Featuring contemporary furnishings and a vibrant decor, the serviced residence is both chic and home to a warm ambience. The complex includes an outdoor swimming pool, Spa treatments are available and there is a hot tub, solarium and a gym. The hotel offers a bed and breakfast package. Lunch and dinner are available à la carte. Urbana Langsuan is the perfect destination for a convenient and comfortable visit to Bangkok. This landmark hotel is strategically located in a neighbourhood where international embassies and consulates were first established. Rich in heritage, urbane shopping malls and unique local markets are also located right next to the premises, as well as international restaurants and local street food stalls. The hotel can be easily accessed by car, public transport system and especially through the hotel limousine service. The hotel’s guest rooms are stylishly appointed and feature an original and exclusive combination of vintage amenities and modern materials. They are designed with guests’ needs in mind and offer the ideal space in which find balance between body and mind. Among other impressive facilities, visitors may take advantage of the infinity pool at the roof-top terrace with breath-taking views of the city. The hotel is located in Soi Ruam Rudee, a relatively quiet and green upper-class residential area of Bangkok. This is a budget accommodation choice in a great location. It offers a range of amenities, ensuring guests a pleasant and memorable stay. It has a lobby, hotel safe and currency exchange facility. There is a restaurant, conference facilities, as well as room and laundry service. Parking facilities are available. All rooms have centrally regulated air conditioning, an en suite tiled bathroom and TV. 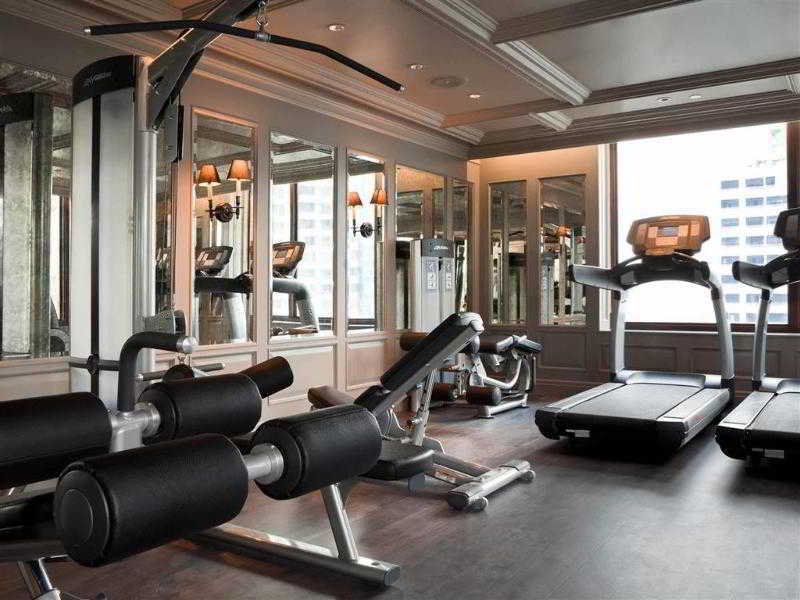 Fitness holds a prime position at the hotel, and guests may take advantage of the swimming pool and gym amongst other facilities. Massage treatments are also offered. 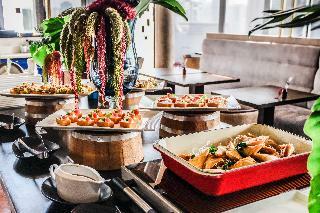 Enjoy the delicious food at the Thailand dining room, which serves authentic Thai and Chinese dishes. This apartment hotel is located in the central business district area, 10 minutes from restaurants, bars and Lumpini Park. It is 15 minutes by car to the nearest private hospital. There are 117 accommodation units in total. The hotel is air-conditioned and has a lobby with 24-hour reception, as well as a hotel safe, a restaurant and café. Room and laundry services and WiFi access are also available. Parking facilities are available to guests arriving by car. All rooms are comfortable with a homely atmosphere. They are equipped with fridge, microwave and tea and coffee making facilities. Bathroom has separate shower and bathtub with a hairdryer. Direct dial telephone, satellite/cable TV and ironing set are available. All rooms are with double or king-size beds and a balcony or terrace. There is also a daily maid cleaning service and towel change service. Located in the most desirable area of Bangkok on Wireless Road, The Moonite Boutique Hotel provides modern rooms with free Wi-Fi. It is a 10-minute walk to Phloen-Chit BTS Skytrain Station providing great access to major shopping outlets and local attractions. The Moonite Boutique Hotel is a 20-minute walk to Central Chidlom Department Store. It is a 15-minute drive from local's favourite Platinum Fashion Mall. Suvarnabhumi Airport is a 45-minute drive away.Adorned with simple furnishings, air-conditioned rooms feature a flat-screen TV, a safety deposit box and a refrigerator. Shower facilities are included in an en suite bathroom. 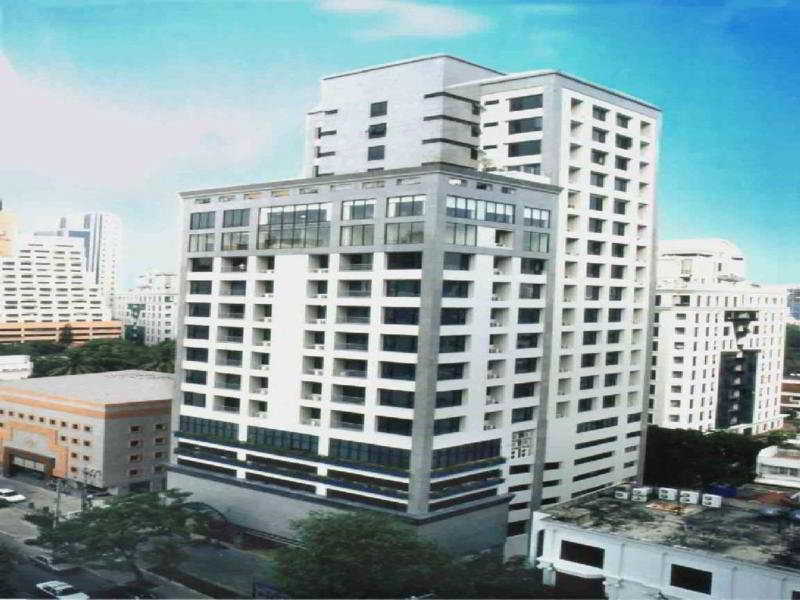 Situated in the heart of Bangkok's central business district, just a step away from All Seasons Place business center. This luxury hotel features lavishly appointed, full serviced suites with homey styled, making it ideal for business travellers on extended stays as well as families and couples for holiday. The Chidlom and Plernchit BTS Skytrain are both near the hotel, providing easy access to the Bangkok downtown and shopping areas. 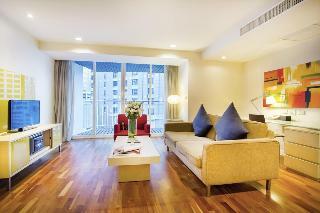 Just only 10 minutes walk to Central Chidlom, 15 minutes to Central World, it is ideal for shopping addict. And feel relax after long working day as we are just 15 minutes drive to Silom enterainment area.The suites are modern and elegant, each one well-appointed with a fully-equipped kitchen, marble bathrooms, custom bedding, luxury amenities and complimentary wireless internet access. Guests can relax on the 4th-floor deck with its grand outdoor pool, sweeping city views and open-air lounge, or energize for the day in the fitness centre. The hotel also offers a variety of family-friendly conveniences such as a babysitting service, baby cots, high chairs, a children's menu and a children's pool. Great room, very good customer service, very central location, very good food, highly recommend it for whoever would like to have a stay in Bangkok.